UOB Asset Management (UOBAM) offers a comprehensive suite of products, from unit trusts and exchange-traded funds to customised portfolio management services across asset classes and geographies, to individual and institutional investors in Asia. UOB Venture Management (UOBVM) focuses on investing in high-growth, privately-held companies in Southeast Asia and Greater China through private equity funds. Supported the promotion of inclusive financing in Myanmar by investing in a microfinance institution, Alliance for Microfinance in Myanmar Ltd (Alliance Myanmar), through the Asia Impact Investment Fund (AIIF), a collaboration between UOBVM and Credit Suisse AG, Singapore Branch (Credit Suisse). In 2017, UOBAM entrenched our presence as one of the largest unit trust managers in Asia, with assets under management (AUM) increasing 13.8 per cent year on year to $34.6 billion as at 31 December 2017. Focusing our investments on the five key themes of well-being, happiness, energy and logistics, industry 4.0 and technology, UOBVM managed more than $1 billion in AUM in 2017. UOBAM remains positive about the performance of global equities in 2018 and also continues to seek quality investments in fixed income. To help our clients diversify their portfolio risks and improve their risk-adjusted returns, we help them tap alternative investments. To maintain our competitive advantage, we continue to scale UOBAM’s business by enhancing our technological capabilities and deepening our presence in market and expanding into new geographies. For example, in widening our product offering, we set up UOB Islamic Asset Management Sdn Bhd in Malaysia to meet the local demand for Shariah-compliant fund management services. The new entity will also support UOB’s Islamic banking business in Malaysia and will enable us to expand these services into UOB’s other markets such as Brunei and Indonesia. UOBVM will continue to invest in areas where we see attractive growth prospects regionally. In maintaining a strong pipeline of deals, we evaluated close to 600 potential investees to identify high-quality companies and to seize meaningful investment opportunities. UOBVM plans to launch the fourth series of our ASEAN China Investment Fund (ACIF) in 2018, with a target fund size that is 1.5 times larger than the third series. The ACIF will continue to promote the adoption of sustainable business practices by providing early-stage and growth capital to promising companies in the region. In 2017, UOBAM welcomed UOBAIM and its suite of alternative investment products and services into our group of companies. Since 2006, UOBAIM, formerly known as UOB Asia Investment Partners, has been tapping the Bank’s experience in Asian alternative investments to help global accredited investors access such opportunities across the region. The restructuring of UOBAIM as part of UOBAM Group means that alternative investments that were previously available only to institutional and more sophisticated investors will now be made available to retail investors through UOBAM’s regional distribution network. UOBAM’s institutional investors will also be able to diversify their multi-asset portfolios further with the addition of alternative investments. In 2017, we started to incorporate environmental, social and governance (ESG) considerations into our active equity investment research processes and securities evaluation and approval process. This means that all securities need to achieve the required standards in terms of ESG ratings and quality assessment to be included on our approved investment list. Recognising the rising demand for sustainable investments, we also launched the United Thai Equity Corporate Governance Fund in Thailand as part of UOBAM (Thailand)’s participation in the Association of Investment Management Companies’ sustainable investing campaign. The campaign aims to encourage Thai-listed companies to improve their corporate governance and social responsibility. We also strengthened our equity product offering for retail investors when we launched the UGTF in partnership with US-based T. Rowe Price to participate in the growth of technology companies and technology trends. Through the UGTF, retail investors may achieve long-term capital appreciation by investing in well-known global technology stocks with disruptive business models such as Netflix and Alibaba. They would also be able to invest in companies, such as Tesla, that are at the forefront of using artificial intelligence, machine learning and cloud computing to grow their business. The UGTF is offered in Singapore and in Malaysia. Investors’ search for yield continued in 2017 with retail demand for income-generating funds remaining strong. To meet this demand, we launched in Singapore the United SGD Plus Fund, which invests primarily in fixed income or debt securities in Asia to help maximise long-term returns for investors through capital appreciation and income amid expectations of higher inflation and rising interest rates. In Malaysia, our new United Global Income Fund, a multi-asset all-weather fund targeted at sophisticated investors, applies a flexible asset allocation strategy to gain the best income and capital growth opportunities for investors. During the year, we deepened our collaboration with UOB to enhance the accessibility of our product offerings. Young professionals in Singapore starting to build their wealth can choose to invest in our award-winning United SGD Fund through the UOB Young Professionals Solution, designed for emerging affluent millennials between 24 and 35 years old. The solution helps these customers to invest by “sweeping” into the fund earned interest from their UOB One Account and rebates from spending on the UOB YOLO card. In December 2017, we introduced our digital advisory service, UOBAM Invest, to UOB’s Group Commercial Banking clients. UOBAM Invest is Singapore’s first digital advisory service for companies to manage their discretionary investments using our proposed portfolio solutions. The service will be offered to UOB’s other corporate clients, as well as to retail investors and across UOBAM’s network in Asia. Operationally, using technology to increase our efficiencies was a key priority for UOBAM in 2017. For example, we invested in digital solutions in areas such as data optimisation to enable our colleagues across our front, middle and back offices to identify investment opportunities more effectively and to strengthen our advisory and sales capabilities. UOBAM’s investment excellence continued to gain industry recognition in 2017. We were named Best Fixed Income Fund House by global investment research company Morningstar and received the Best of the Best Performance Awards for Asian Bonds (10 years) award at the Asia Asset Management Awards for the second consecutive year. 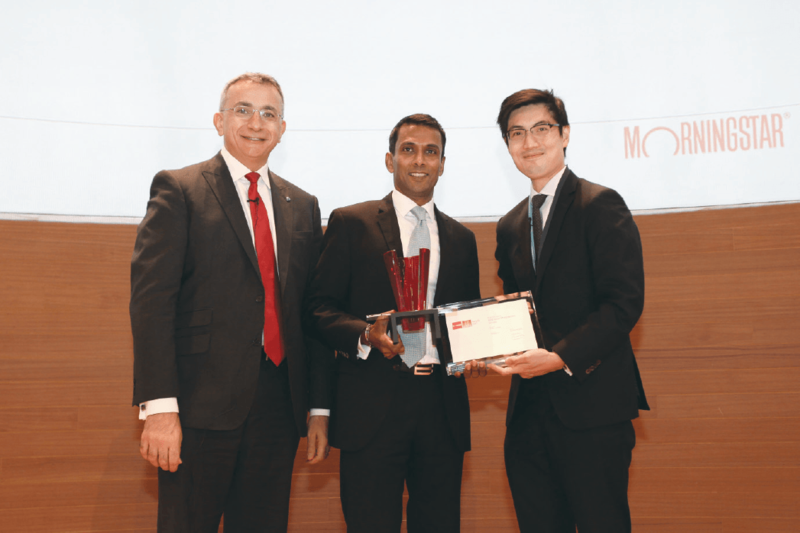 UOBAM was awarded Best Fixed Income Fund House by Morningstar in recognition of our strong investment performance. In Singapore, several of our funds, namely the United Asian High Yield Bond Fund, the United Emerging Markets Bond Fund, the United SGD Fund and the United Global Healthcare Fund, also received awards. Our investment team’s expertise was acknowledged at The Asset Benchmark Research Awards 2017 where two of our fund managers were honoured for being among the “Most Astute Investors” in the region. In Thailand, UOBAM (Thailand) was awarded the Best Investment Management Company from World Finance for the third consecutive year. 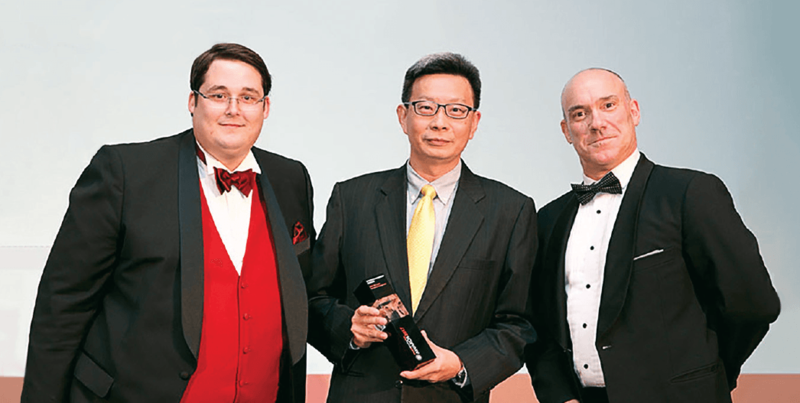 During the year, UOBAIM also received accolades including Best Alternative Investment Manager at the WealthBriefingAsia Awards 2017, Best Diversified Absolute Return Hedge Fund Manager in Asia at the Acquisition International 2017 International Fund Awards and Best in Investment Advisory Services at the Corporate LiveWire 2017 Global Funds Awards. In addition, our flagship multi-manager Asian hedge fund, Asia Alpha Fund, won the Fund of Hedge Funds Multi-Strategy Award and Fund of Hedge Funds Specialist Award at the HFM Asia Hedge Fund Performance Awards 2017 in recognition of its strong performance. UOBAIM’s expertise garnered industry recognition in 2017, including at the WealthBriefingAsia Awards 2017. UOBVM pursues responsible investment opportunities in support of economic and social development. Since 2004 with the launch of our flagship ACIF, we have incorporated ESG assessment in our investment evaluation process. Our team of experienced investment professionals in Singapore, Indonesia and China identifies and assists promising entrepreneurs in revenue and profit margin expansion and provides them with advisory on enhancing their ESG practices. In 2017, the third series of the ACIF continued to invest in privately-held companies that capitalise on growth opportunities in trade, knowledge transfer and capital flows between ASEAN and China. We led the Series B financing for an EdTech company, Ruangguru. The company offers affordable access to quality and interactive digital-based educational content to educators and students, especially those from lower-income families, in all 34 provinces across Indonesia. With close to six million users of its services in more than 19,000 schools, Ruangguru is a market leader in EdTech in the country. We invested in Ruangguru, an EdTech company that provides students across Indonesia affordable access to quality educational content. UOBVM also manages the AIIF, which invests in socially-responsible, high-growth companies that help to improve the living standards of low income communities in Southeast Asia and China, in collaboration with Credit Suisse. Tapping the combined expertise of both organisations, the AIIF offers high-net-worth and institutional investors opportunities to contribute to social and environmental improvement through social impact investing. In 2017, the AIIF invested in Alliance Myanmar, which provides microfinancing and financial education to the less privileged communities in Myanmar with a focus on female entrepreneurs. The funding was in support of Alliance Myanmar’s continued expansion, outreach and development of its service portfolio. During the year, another UOBVM fund, the UVM 3 Venture Investments LP, was awarded “Preferred Provider” by Mercer Investment Solutions (Singapore) Pte Ltd, the independent rating agency appointed by Contact Singapore for its Global Investor Programme (GIP). The GIP accords Singapore Permanent Residence status to foreign investors with a substantial business track record and successful entrepreneurial background who intend to drive their business and investment growth from Singapore.